Worksite ProT VR66 vibratory rollers turn a skid steer into a powerful compactor, ideal for asphalt patch, foundation, trench, and flatwork compaction. They're very economical, since owning one eliminates the costs and maintenance of a self-propelled roller. Powered by standard hydraulics, the VR66 roller produces compaction forces up to 7,800 pounds. These attachments are easy to maneuver, with drum oscillation of ±15 degrees. 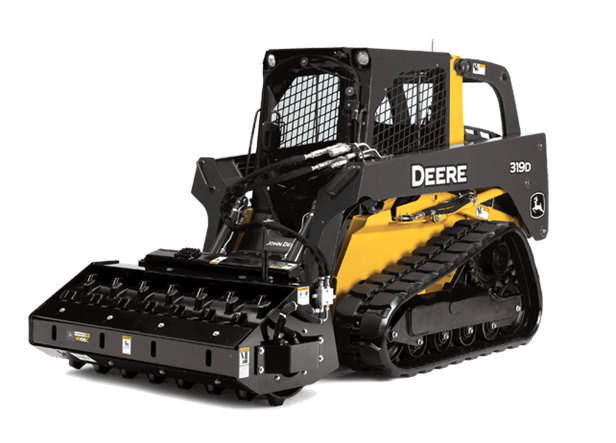 Like all Worksite Pro attachments, these vibratory rollers are optimized to work with John Deere Skid Steers and Compact Track Loaders, and are compatible with most competitive models. Plus, they're backed by a one-year warranty and one-of-a-kind parts and service.